It's been over a year since I decided to start using a sheet mask every night. Since it's now been over a year since I've added this extra step to my skincare routine I thought I would share my experiences of daily masking now that it's been over a year. If you are considering daily masking then you might find this information useful. When I first started using masks I didn't get pimples for months! However, that time has past and now I get them like regular. When I first started using a sheet mask every night I dreaded adding 10-20 minutes to my skincare routine. However. after the third month, it became addictive. I am now at the point where I feel incomplete if I don't use a sleep mask. This is something that I recently learned. You know those suggested times on the back of the sheet mask packaging? Well, they aren't just there for no reason. I would be one of those people who would leave sheet masks until the mask dried out but sometimes doing this isn't the best idea because the mask material or essence could break you out if left on for too long. If you've tried the same type of masks then go ahead and add a couple minutes but be cautious of new sheet masks you've never tried before. I can't tell you how happy it makes me when I know that there is a lot of leftover mask essence in the packaging! The following morning I squeeze the liquid out and gently pat the essence until it absorbs into my skin. I'm not sure where you live (and not going to lie, I'm being lazy by not looking at your about section before I post this comment), but are sheet masks cheap where you are? I've been thinking of trying daily masks (or even every other day), but I'm trying to see if it's an expense I'd want to add in to my budget or not. 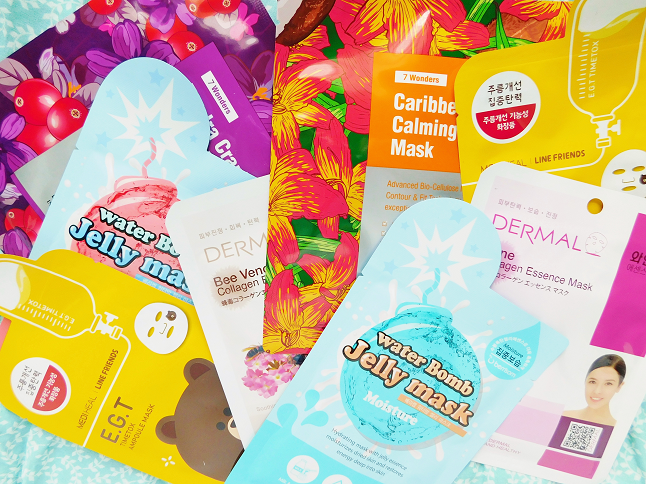 For reference, I live in the US and would buy most of my masks online off Amazon, StyleKorean, SokoGlam, etc.